My agency responded to an active shooter in the workplace last week. Shots were fired. Hundreds of workers, fearing the worst, hid in their offices. There were gunfire injuries to a civilian. Our PD response was swift and decisive. The shooter was arrested. 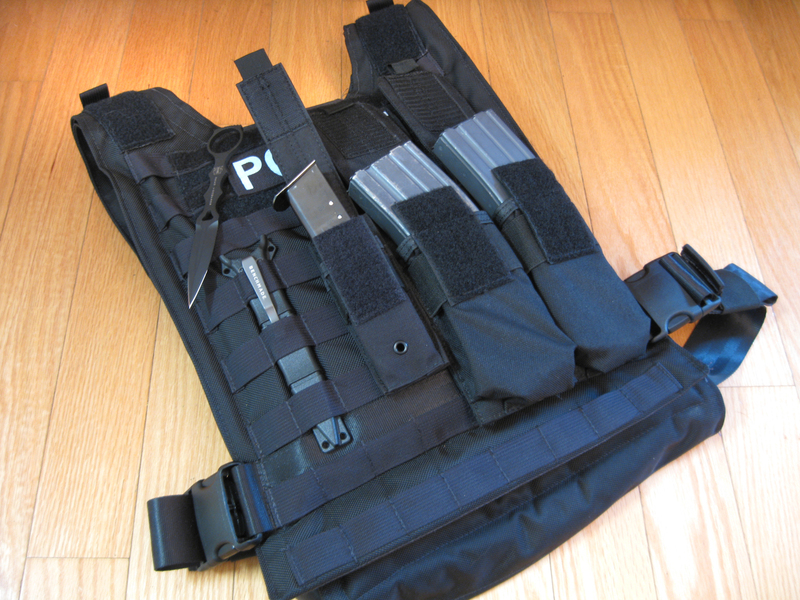 Afterward, some of my co-workers expressed a desire to upgrade their patrol load out to include a critical incident vest. I could not help but give them my opinion on the importance of armor and ammo. I currently have an Armored Mobility Inc. (AMI) Rapid Response Carrier with two AMI SAPI3 plates in the CVPI trunk while on duty. Armor–check. Multiple AR-15 and Sig magazines. Ammo–check. Since leaving the active part of SWAT after 20+ years, I have gone minimalist for patrol critical incidents. Again, armor and ammo. 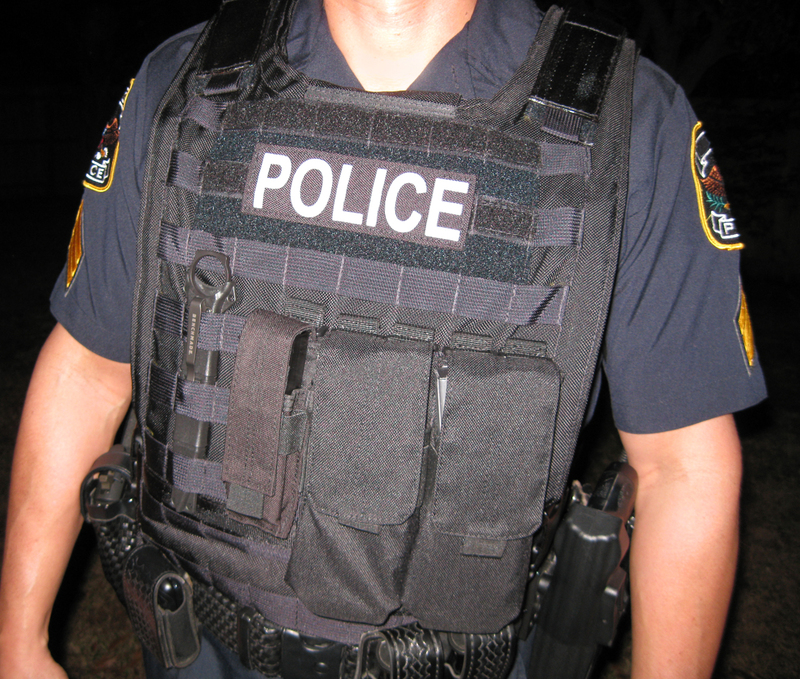 For urgent street calls, my go-vest has rifle plates to go over the uniform and concealed IIIa body armor. A reasonable payload of 5.56 x 45mm bullets, an extra .40 cal. mag, and a Benchmade SOCP dagger complete the package. 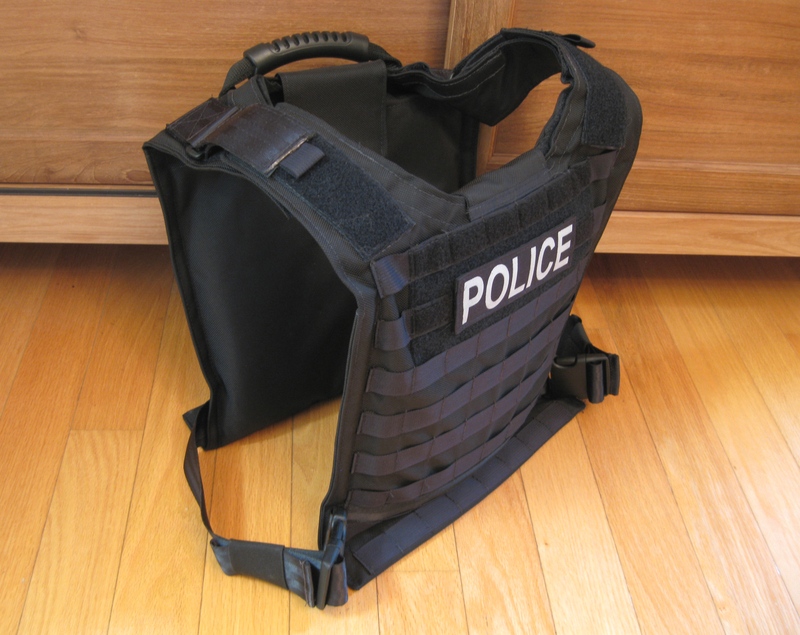 On any hot patrol call, I will already have all my daily carry gear on board. My work environment has BLS and ALS on scene in mere minutes. We are lucky. A CAT tourniquet and dressings will hold the line for TCCC, but you have to survive the fight. 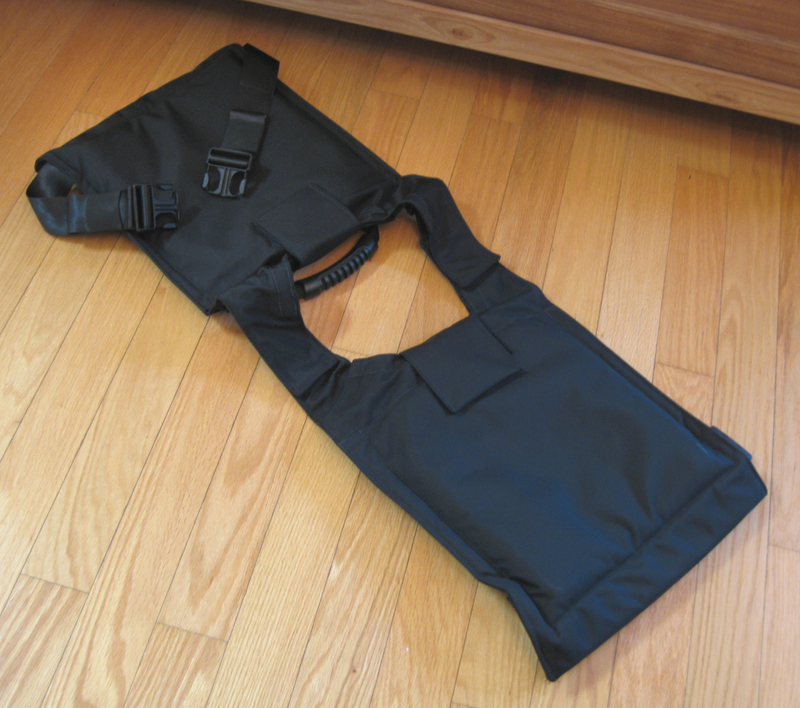 The AMI Rapid Response Carrier is an extremely well constructed and thoughtful product. 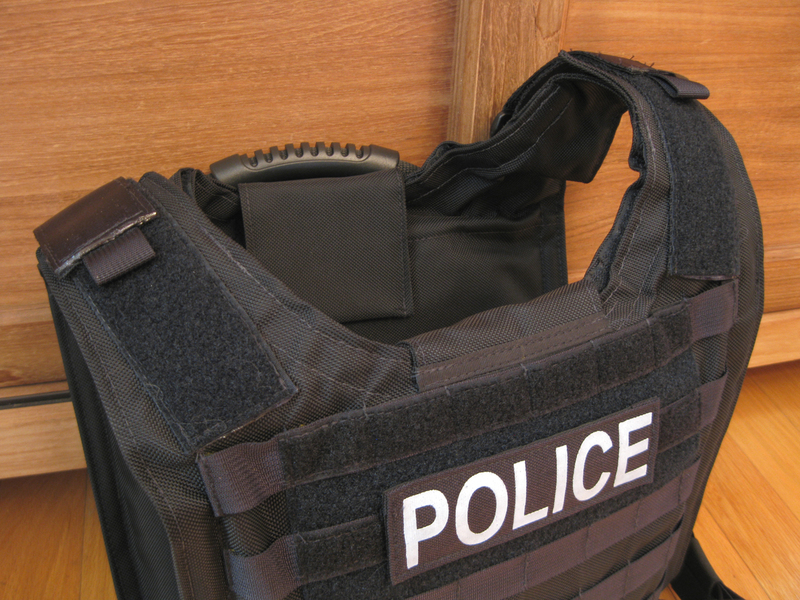 In speaking to AMI Rep Bill Gazza at SWAT Round-Up last year, he said the aim for the Rapid Response Carrier was to make a simple, lightweight plate carrier with just the essentials and nothing unnecessary. “Throw and go,” seemed to be the mantra for this carrier. 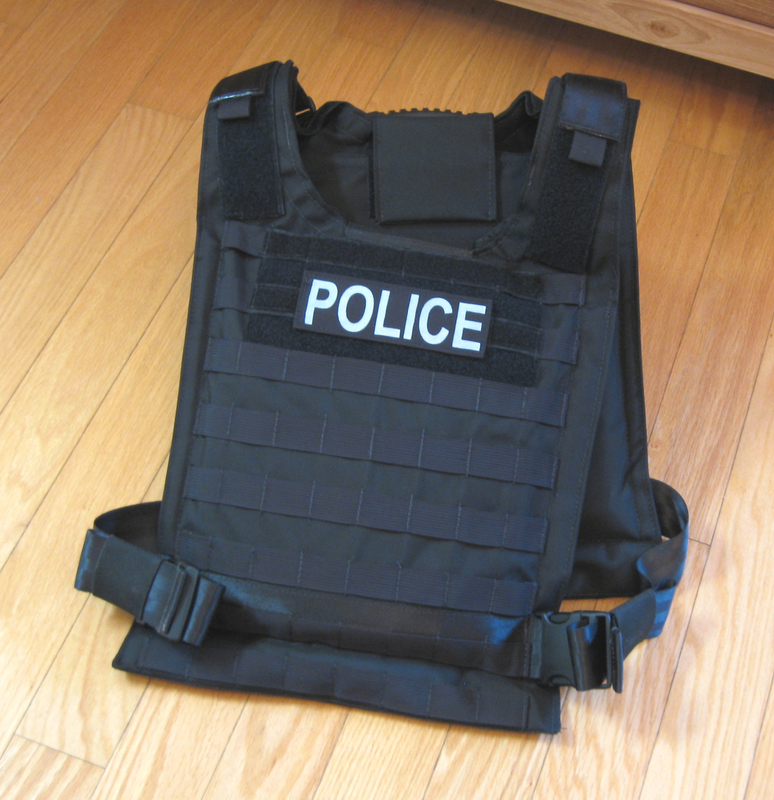 The Rapid Response Carrier is built with USA-made 1680 denier Nylon material. PALS webbing is found on the front and back panels, along with hook and loop fields for ID patches (not included). 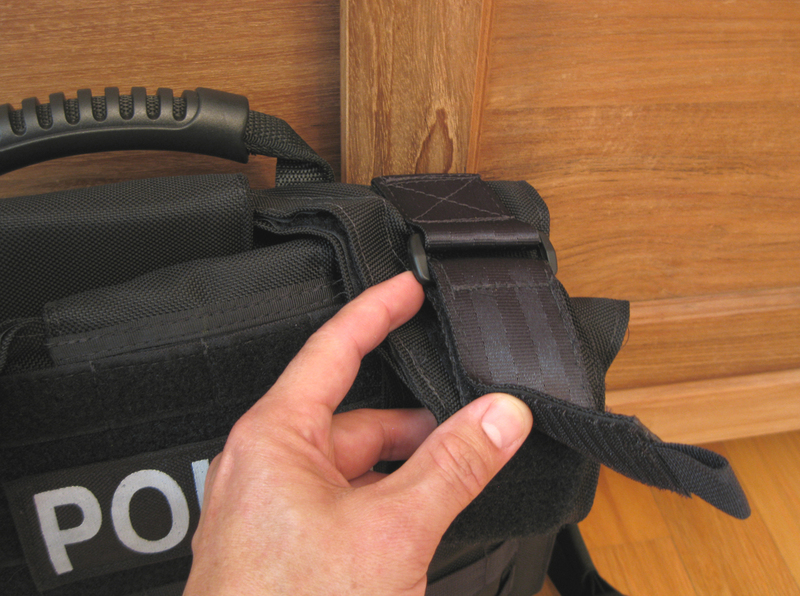 The interior surface of the carrier is the smooth nylon, so uniform adornments such as badges, name plates, and pins will not snag. 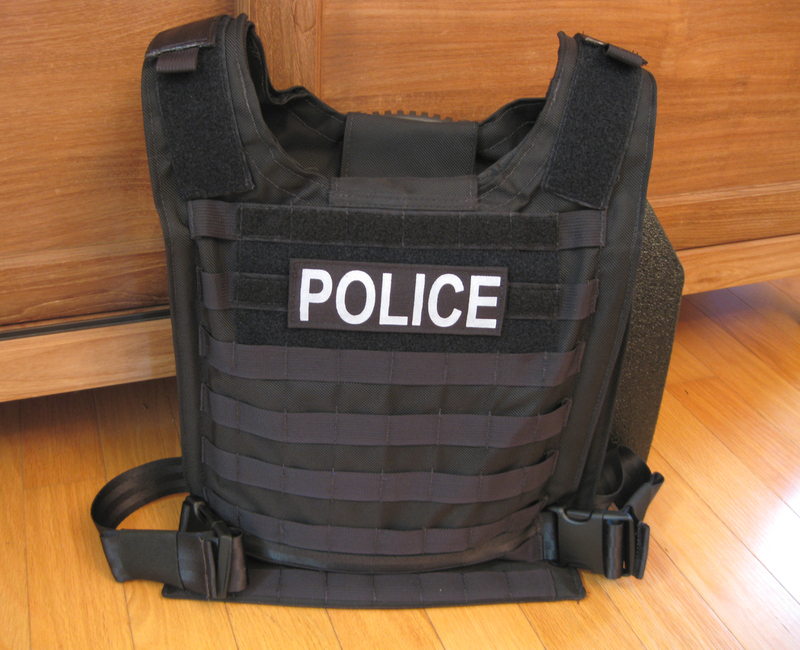 This is a one size for all vest. I like the adjustable shoulder straps that have a primary hook and loop hold down and a secondary strap that threads back through a buckle then folds over to Velcro back on itself. This two-part system ensures a good fit and secure connection between the front and rear panels. 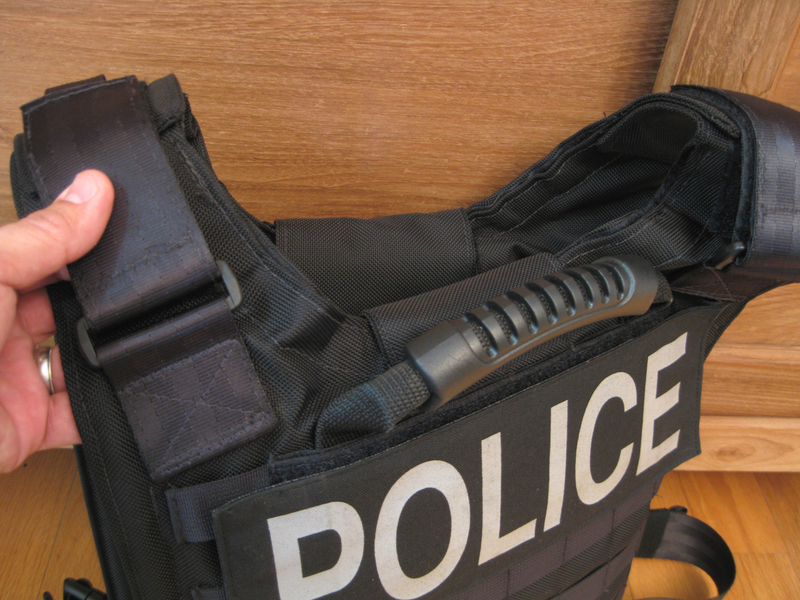 Cinch straps with buckles on each side snug the Rapid Response Carrier to the torso and a custom rubber-c0vered grab handle allows your buddies to drag you to safety. 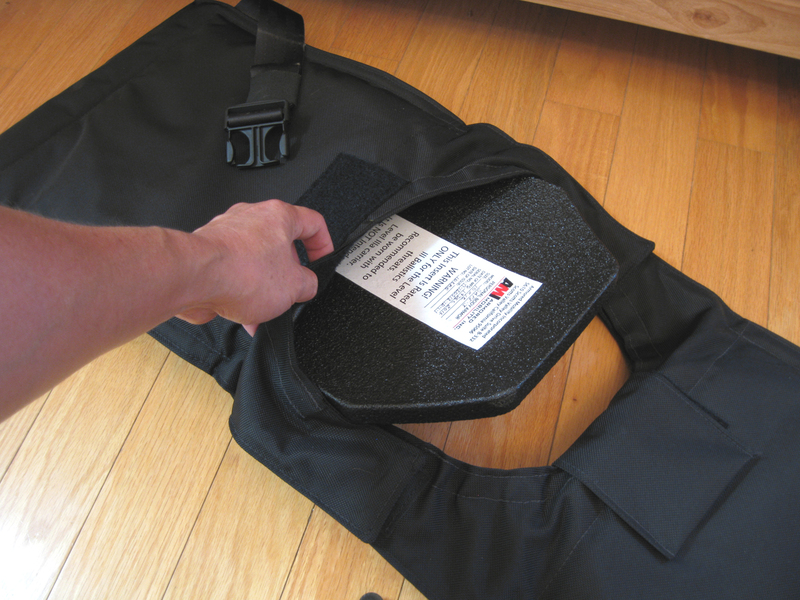 Both the front and back panels load their 10″ X 12″ rifle plates from the top down. Nothing will fall out here. More hook and loop closes the opening and another wide strap seals the plate in. The SAPI3 plates are made of Dyneema UD-HB25, a high performance polyethylene fiber 15 times stronger than steel and by weight 40 times stronger than comparable aramid fibers, according to AMI. Each SAPI3 weighs in at just 3 pounds. This makes the entire rig very light, indeed! Having this kind of rifle-rated protection available to the patrol officer is something unheard of years ago. Even in SWAT, I did not have Level III plates until the last ten years I was on the team. I met AMI company president Michael Berritto III at SHOT Show 2012 Media Day at the Range. 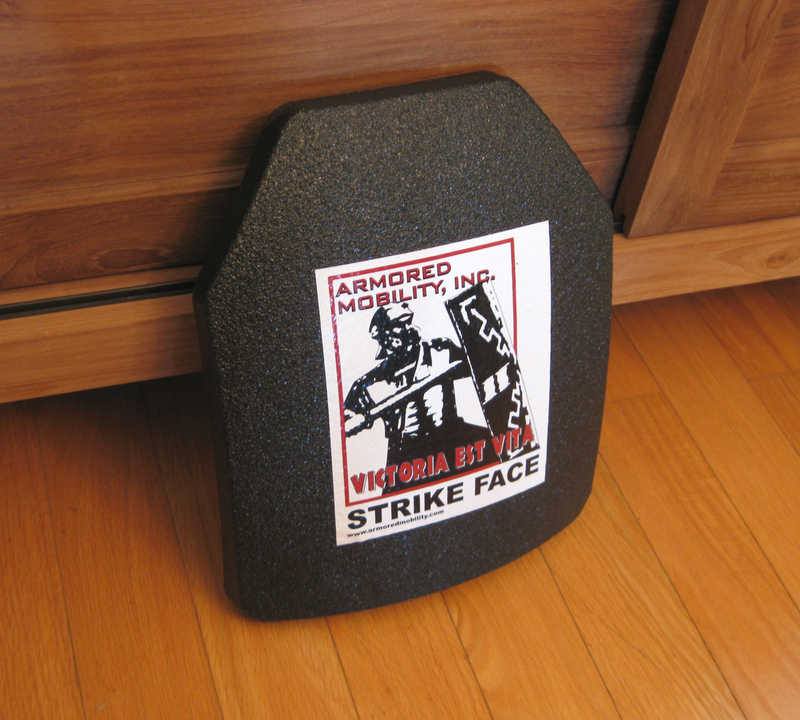 He graciously spent time talking to me and BlueSheepdogs Richard and Aaron, showing us different products that Armored Mobility, Inc. makes including their Mobile Armored Shield. Mr. Berritto was very enthusiastic about his products, with good reason. 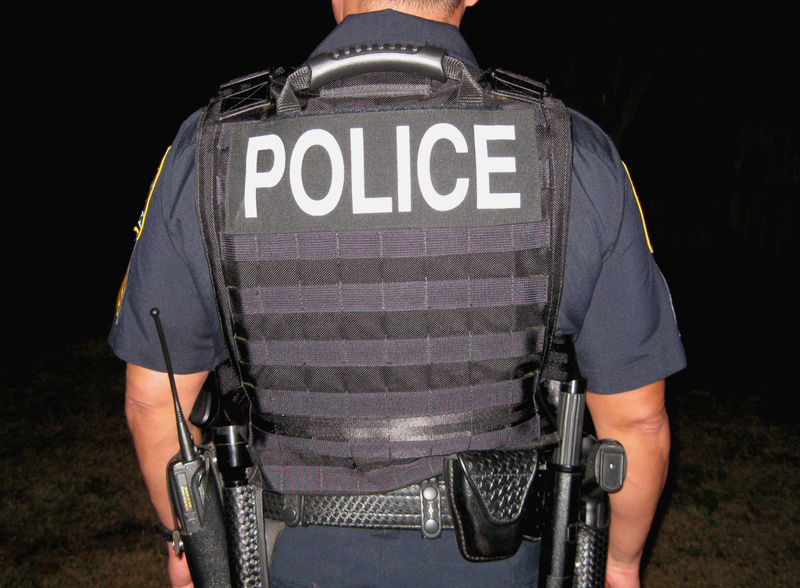 It seems like there are more and more dangerous incidents on our streets requiring clear thinking, good tactics, and greater equipment capabilities. AMI’s Made in the USA offerings can definitely help in that last area. 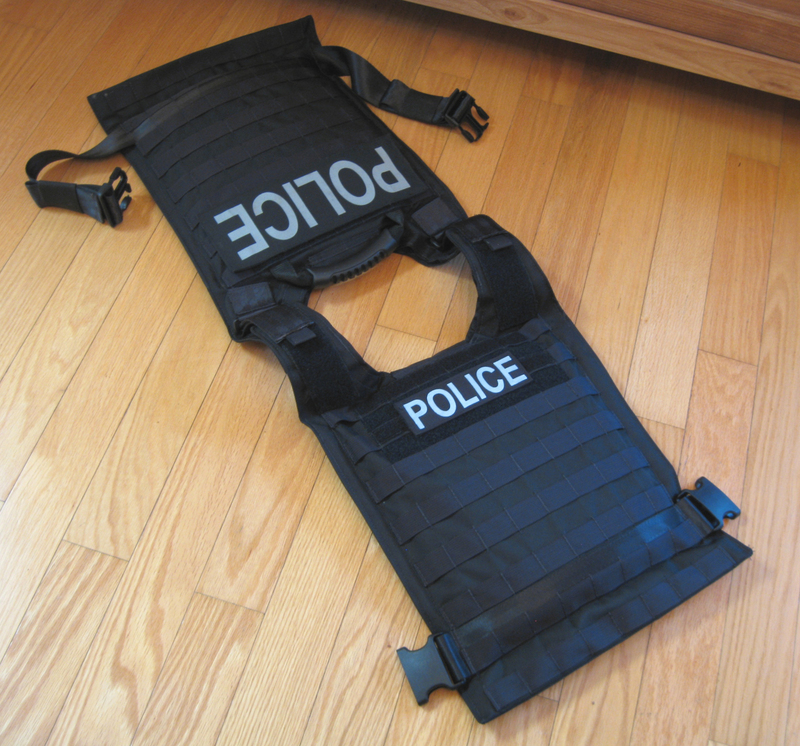 This entry was posted in Officer Safety, Protective Armor, SHOT Show, Technology and tagged Armored Mobility Inc, Rapid Response Carrier, Rifle Armor, SAPI plates, SHOT Show, SWAT Round-Up International. Bookmark the permalink.